We all know stress is bad for our health, but don’t always have the time or the money to de-stress in the traditional ways like going on a vacation or getting a massage. 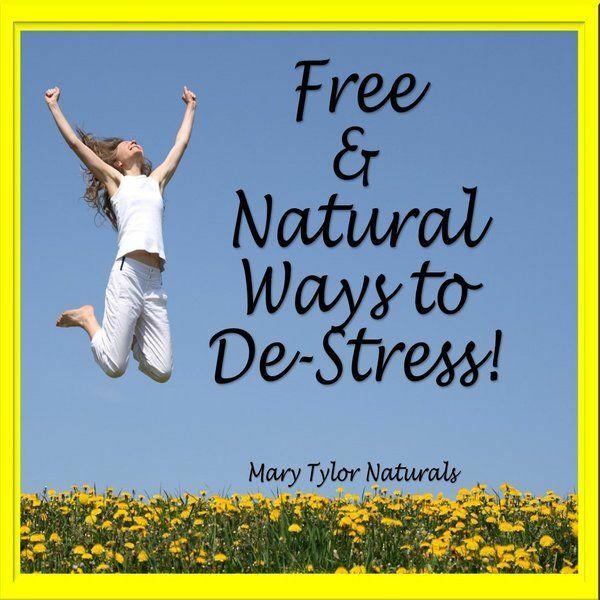 Below is a list of free and natural ways to destress! Feeling trapped doesn't help anyone's mental state. When you feel this way, it helps to try to change your surroundings. A change of scenery is definitely needed if you feel the walls closing in. Hearing the wind, feeling the sunshine and listening to the rain can help you feel calmer and more relaxed. Go outside! Open a Window! Enjoy Nature! 2- Surround yourself with good people. A great way to refuel your burnt out spirit is to get around people that you can ENJOY life with. People that encourage you, listen to you and make you laugh can help you heal when you feel like you're at wit's end. Call a friend, send a text or email! There is no shame in reaching out if you need a good friend's company! 3- Eliminate as many stressors as you can. Whether they be physical, emotional, spiritual or mental. Try to de-clutter as much as possible. If someone is speaking negatively to you, DO NOT engage in the conversation. Eliminate as many toxic people as you can. Avoid things that trigger increased pain, sadness or stress. Are there certain things that increase stress in your life? Are there people you need to avoid? Are there situations that hurt you? Try to get away from as much negativity as possible....and when it's not possible, care for yourself as best as you are able to. If you have to face a negative situation, reward yourself with something positive afterwards. 4- Enjoy the little things in life. Pamper yourself in tiny, special ways EVERY SINGLE DAY. Example- Take a hot bubble bath, read a book, drink a smoothie, watch a good movie, wrap up in a soft blanket, light a candle, listen to a calming musical playlist, add some calming essential oils into a diffuser. Do something that comforts you. If you are burnt out, you need to refresh your mind, body and spirit. Little things go a long way! You cannot lift anyone else up with broken wings. You HAVE to take care of yourself; Because if you don't, you can't help anyone else. Be sure you are taking care of your needs. Eat properly, hydrate, rest, sleep & relax. Your health, mental state and physical body should all be a priority in your life. Taking care of yourself is essential to living the best life possible. Mary Tylor Naturals is proud to offer Better Ingredients for a Better Life! Benotnite Clay - What is it and How is it used. Hooray For Certified Organic Shea Butter! A Big Thank You to this natural moisturizer SHEA!! It can even help with Allergies! - 100% Certified Organic Shea Butter is great for healing skin and helping with allergy inflammation.